Star Wars: The Force Awakens, opens in theaters December 18, 2015. My boys and I can't wait for this movie! I am still in a bit of shock that Thanksgiving week is here already, I just do not feel ready for it at all. Where did this year go? As we get ready for the big feast and perhaps some shopping, it is important that was talk to our kids about being thankful. And you know what, us adults could use a reminder as well. Sitting down and discussing all the things we are thankful for with our children is an excellent way to bond and teach and just a really nice parent/child experience. Something we all should be thankful for are good friends. Now a friendship could be a BFF from school, a sibling or maybe even a pet. While my boys all have friends at school, they are all so super close with each other, and I know that I am very thankful for that. Let Netflix help you and your children explore lessons about friendship with these titles. The beloved faith-based brand hits the small screen with a fresh new look and all-new adventures. 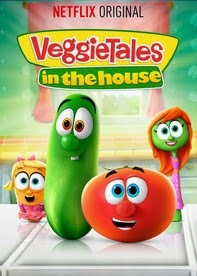 Join Bob the Tomato, Larry the Cucumber, and all their veggie friends as they explore new areas of their wondrous house while singing catchy, original songs included in each episode. Perfect for young families, this laugh-out-loud comedy seamlessly weaves good moral values into each episode in a fun, exciting way for Veggie lovers of all ages. I am a lover of all things technology, whether it is the best new smart phone to fit in my pocket or a new beautiful television to mount on my living room wall. The science and innovations behind all of these gadgets fascinates me and I love seeing, and playing with, it all. Television technology seems to be constantly evolving and continuing to get better and I feel like every holiday season is when we see the next big thing in TVs. I have come to look forward to the season just to see what some of the new TV technologies are. 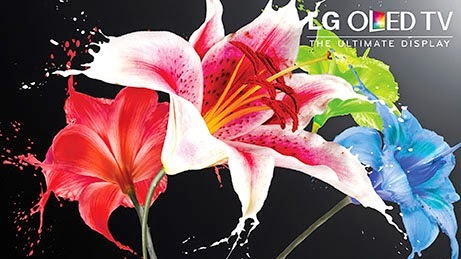 This year I am pretty excited about the new LG OLED TV. It is no secret that my boys and I are huge Star Wars fans. HUGE. And thanks to Netflix, they also became big fans of Phineas and Ferb this year as well. So we were thrilled about the Phineas and Ferb: Star Wars special. Unfortunately, we don't have cable so we have yet to see it. But it is finally available on DVD, so Santa will be dropping this in a stocking at my house this Christmas. It seems that once my kids go back to school in the fall, we are constantly battling some ailment in out house. With four young kids in four different classrooms, they are exposed to all kinds of germs and they bring all of those home each day to share with each other. I just wish they were as good about sharing toys as they are about sharing germs! So it was late October and early November when I found that all four boys had either sniffles, a runny nose a cough or congestion. When it comes to over the counter medication for kids, I will give a fever reducer or cough soother when needed, but I like them to be dye-free and with as little nasty stuff in them as possible. 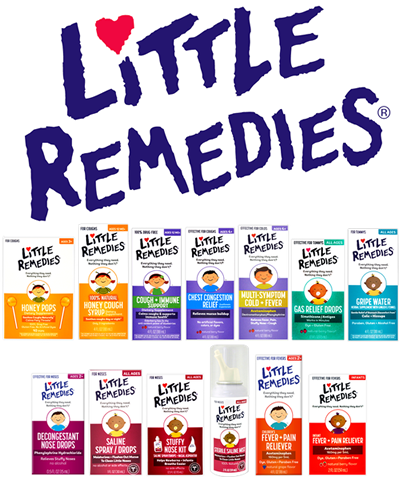 Luckily Little Remedies has an entire line of over the counter remedies just for kids that meet those requirements. "Everything they need, nothing they don’t." Busy Mom? Need to Break-free? If you are a mom, you are definitely a busy mom. Taking care of the house, your kid’s homework, your hubby’s favorite dish and what not. You are the best and there is no better mom than you. But even the best needs rest. And that should happen before your body goes into the grave. So, break-free today and have a great time! I participated in an Influencer Activation Program on behalf of Influence-Central for Virgin Mobile. I received a sample device to facilitate my review and a thank you item for participating. This post may also contain affiliate links. We are approaching that age where cell phones for kids are a topic of discussion in our house. Our oldest son will be 10 in February and while we aren't ready to give him a phone yet, it will probably be happening within the next few years. Almost definitely when he hits middle school. Since I like to start my research early I'm already looking at best plans for kids. The Virgin Mobile Custom Plans stood out to me because not only can you build a cellular plan that suits your family and child but it also gives parents a lot of control over what a child can use the phone for. We are already a week into November and do you know what that means? It means the holiday shopping season is in full swing. With my boys getting older and wanting mostly more expensive gifts, I am always looking for good sales this time of year. This Saturday, November 8, 2014 from 1:00pm-4:00pm, Best Buy is having a one day in-store sale and shopping event. I'm excited for it and the chance to preview and shop the Holiday Collection from some of the biggest brands including Apple, Microsoft, Samsung and Sony.